For a list of upcoming meetings related to MPAs, click here. Get a free subscription or download any of the past issues of this excellent newsletter which covers all aspects of MPAs. To sign up for an electronic or paper subscription, click here. To view or download issues, click here. WWFâ€™s Global Marine Programme has its publications on the conservation of the marine environment available for download. To view the list of publications available, click here. Conventions and Agreements: Find out more about the conventions and agreements relevant to MPAs and cetacean habitat protection in regional and international waters. Contains the complete references in 1st Edition of Marine Protected Areas for Whales, Dolphins and Porpoises plus additional useful MPA/cetacean references. Bleakley, C and V Alexander (1995) Marine Region 2: Arctic, in G Kelleher, C Bleakley and S Wells (eds) A Global Representative System of Marine Protected Areas.Vol I, The Great Barrier Reef Marine Park Authority, The World Bank and IUCN, Washington, DC, pp61-76. 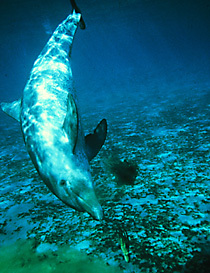 Gladstone, W, M Younis and F Krupp (2003) Red Sea and Gulf of Aden Regional Network of Marine Protected Areas. World Parks Congress, Durban. Hoyt, E (2001) Whale Watching 2001: Worldwide Tourism Numbers, Expenditures, and Expanding Socioeconomic Benefits, International Fund for Animal Welfare, Crowborough, UK, 157pp Click here to view or download pdf. Hoyt, E (2002) Whale watching, in WF Perrin, B WÃ¼rsig and JGM Thewissen (eds) Encyclopedia of Marine Mammals, Academic Press, San Diego, pp1305-1310 Click here to view or download pdf. Hoyt, E (2003) The best whale watching in Europe, WDCS, UK and WDCS â€“ Germany, Unterhaching, Germany, 60pp Click here to view or download pdf. Hoyt, E (2005a). Sustainable ecotourism on Atlantic islands, with special reference to whale watching, marine protected areas and sanctuaries for cetaceans, Biology and Environment: Proceedings of the Royal Irish Academy 105B(3), pp141-154. Click here to view or download pdf. Hoyt, E (2005b) Marine protected areas (MPAs) and sanctuaries for whales, dolphins and porpoises: the state of cetacean habitat protection and MPA management worldwide. European Research on Cetaceans 19, Proceedings of the annual conference of the European Cetacean Society. Click here to view or download pdf. Hoyt, E and G Hvenegaard (2002) A Review of Whale Watching and Whaling with Applications for the Caribbean, Coastal Management 30, pp381-399 Click here to view or download pdf. IUCN (1994) Guidelines for Protected Area Management Categories, CNPPA with the assistance of WCMC, IUCN, Gland, Switzerland and Cambridge, UK, 261pp Available as a pdf. Meffe, GK, WF Perrin and PK Dayton (1999) Marine mammal conservation: guiding principles and their implementation, in JR Twiss, Jr and RR Reeves (eds) Conservation and Management of Marine Mammals, Smithsonian, Washington, DC, pp437-454. Petersen, Ã† & GA Gudmundsson (1995) A marine conservation area â€“ BreidafjÃ¶rdur, West Iceland, Arctic Bulletin, March, pp20. Scovazzi, T (2003) Marine protected areas on the high seas: some legal and policy considerations, World Parks Congress, Durban. To consult or download the key document: Cetaceans of the Mediterranean and Black Seas: State of Knowledge and Conservation Strategies, click here. For SPAW legislation, click here. For Antarctica and Southern Ocean Coalition, click here. CITES â€“ Convention on International Trade in Endangered Species of Wild Fauna. To contact CITES Trade Database Team, UNEP-WCMC; email: species@unep-wcmc.org. For more information on how to apply. For more information on the regional seas strategy, click here. Excerpt from Hoyt, E. 2005. Marine Protected Areas for Whales, Dolphins and Porpoises: A worldwide handbook for cetacean habitat conservation. Earthscan, London, 516pp. Â© Erich Hoyt 2005, all rights reserved.